The Reporters Committee for Freedom of the Press and 27 media organizations support the rights of the public and the press to have affordable access to court records. A media coalition, led by the Reporters Committee, filed a friend-of-the-court brief on Jan. 23 in the Federal Circuit Court of Appeals in support of the National Veterans Legal Services Program, National Consumer Law Center, and Alliance for Justice’s lawsuit against the government challenging the fees charged for access to court records through the Public Access to Court Electronic Records system (PACER). In the brief, the media coalition advocates for affordable access to court records and argues that the fees the government currently charges through PACER are not authorized by law and threaten such access. 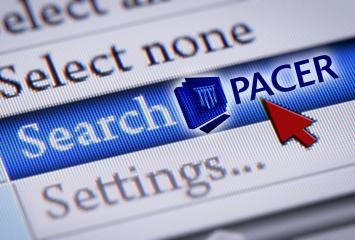 The government and the plaintiffs both filed appeals in the case after the district court held that the government’s use of PACER fees to fund certain activities surrounding access to court records was not lawful, but allowed the government to use PACER fees to fund other activities that are not directly related to the dissemination of court records. The media coalition argues in the brief that members of the news media rely on court documents to inform the public, and charging any fees beyond the cost of disseminating the documents requested is not authorized by statute, burdens the press and is contrary to First Amendment values. The coalition argues that allowing the government to charge PACER fees beyond the marginal cost of disseminating court records will hinder journalists’ ability to access court records — especially given the current budgetary constraints of the news industry — and provide that information to the public.